For over 20 years I’ve worked alongside a wide range of clients to develop, maintain and secure their presence on the web. My work goes back to the days of dial-up and over two decades it’s evolved into a comprehensive consulting service. I’ve worked with many clients since the inception of their business, going on that journey with them. Similarly I’ve jumped on board to help established businesses with further expansion, platform development, troubleshooting and other areas of growth. I carry out on-site consultation and service delivery across Europe, although much of my work can be done remotely, saving time and reducing the budget. I’m also available to talk in the media about my specialist subjects. Please get in touch if you’d like to start a conversation with me about any of the topics mentioned on this page. * Hmm. That headline was an attempt at a joke. In 2017 I worked on a high-profile European road safety project. 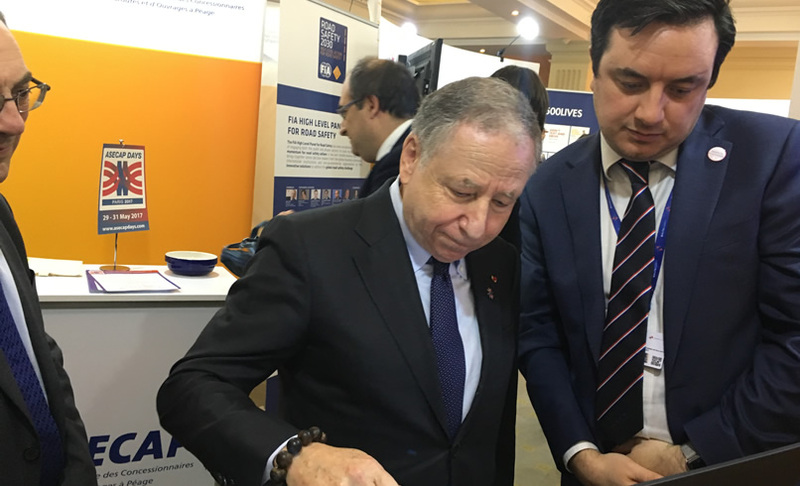 At this event in Malta, part of the country's presidency of the EU, I showed Jean Todt, President of the FIA, the technology as he gave his support.